Had William Shakespeare been around in the 21st Century, we believe he’d be referring to Shenmue. Never will you discover a title so adored by critics and gamers and abhorred by others in the same demographic. You play as Ryo Hazuki, an unassuming young man on a quest to avenge his father’s death. In order to achieve this, Ryo must emphatically harass the locals of a small Japanese town by asking questions like the infamous, “Are you guys sailors?” Ryo finds himself in a lot of trouble during his exploration of leads, but he can always stop by the arcade and play an emulated, in-game version of a few arcade hits. Rumors suggest that Sega has already finished updating Shenmue for modern consoles, which you can read about here, but will gamers enjoy replaying the game that invented the Quick Time Event (QTE) or will they sour over Ryo’s tank-like controls that echo the problems of last generation? The Controls – Players controlled Ryo using the D-pad on the original Dreamcast while the system’s singular analog stick controlled the camera. In retrospect, it made sense due to the console’s limitations, but its sequel which eventually landed on the first Xbox also contained the same control scheme–despite an additional analog stick being available. There’s no reason why Sega can’t map the controls to fit more intuitively on an Xbox 360 controller. The left analog stick can control Ryo while the right alters the camera. Sega’s other admired Dreamcast game Jet Grind Radio is also coming to XBLA and has implemented right-stick camera controls. We had the pleasure of playing it at PAX East which you can read about here. Loading – While modern gamers bicker over the load times in masterpieces like Skyrim, they are lucky compared to those who trudged through Shenmue where 10% of the experience is sitting on a loading screen. Facetiously, inventive gamers who noticed the Dreamcast’s loud howl during these sessions created dialogue with the console to pass the time. Graphical upgrade – We think it’s pretty standard to suggest a smoothing over when it comes to these updated titles, but Sega barely touched the visuals of its XBLA release of Sonic Adventure, so we don’t want to see more of the same passiveness here. 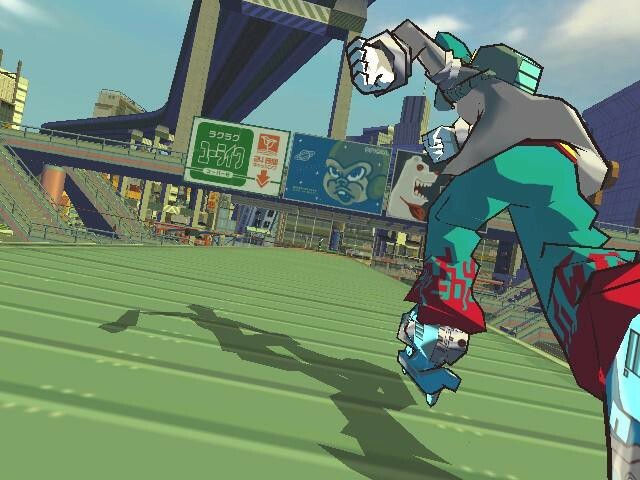 Jet Grind Radio seems to be heading in the right direction, so follow in its footsteps. 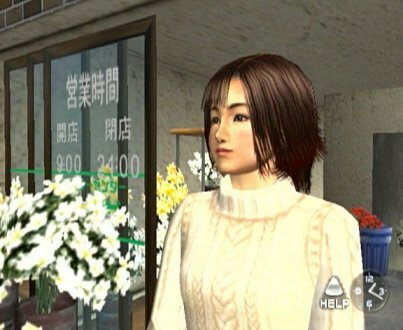 The Arcade – Knowing Sega, they’ll extract the arcade games within Shenmue and release them digitally on XBLA as a “package” to supplement your Shenmue experience. 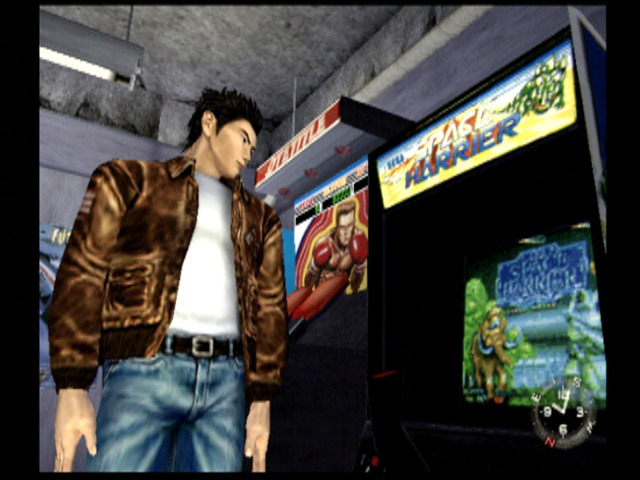 Hang-on, Space Harrier, Outrun and Afterburner could be played at Ryo’s household or at the local arcade. Don’t mess with this Sega. 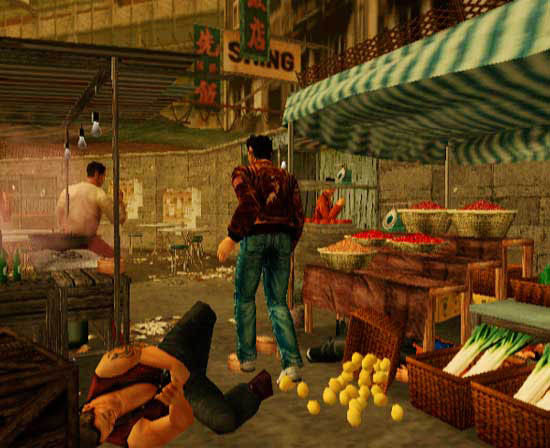 Voice overs – Contentiously, the voice over work in Shenmue divides gamers as does the rest of the experience. The acting is notoriously bad, but it comprises a level of charm and B-movie sensibility that makes it instantly likable. Were Sega to change it in any way, the experience would be drained. Forklift – The pier sections of the game also made a lot of gamers moan over its repetitiveness, but we believe Yu Suzuki was trying to make a social statement about the nature of life. Who hasn’t hopped into a forklift aimlessly transporting boxes from one warehouse to the next with no purpose in mind? This is a question we hesitate to answer because it is the sole reason Sega is holding back the next chapter from being developed. Shenmue was a ridiculously expensive title for Sega to make, and a return on its investment wasn’t reaching port, but to re-release a title that has already been developed is a no brainer. Sega seems to only be interested in its digital back catalog lately, so why not re-release one of the most loved/hated games of all time?